Patrick Hanis has served as a Lake Meridian Water District Commissioner since February 2004. He has lived in the District since his family moved to the area in 1983. Patrick’s association with Lake Meridian Water District began after he graduated from Kentwood High School in 1991. While attending the University of Washington, Patrick worked for the District reading water meters, flushing water mains, painting fire hydrants, maintaining wells, and performing other various duties. He attended Utah Valley State College emphasizing in business management, obtained a BA in Speech Communication from the University of Washington in 1998, and then graduated from Gonzaga University School of Law in 2001. He has been married to Sarah for 13 years, and they have five children: Nathan (9); Aileena (6); Jarrett (4); Ella (2) and newborn, Chase. 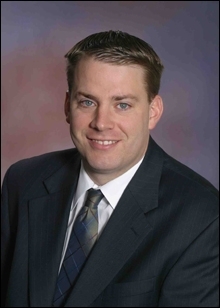 Patrick is a Partner with the Kent law firm of Hanis Irvine Prothero, PLLC. His practice concentrates on business, real property, construction, and general litigation matters, particularly in the areas of real estate transactions, boundary disputes, liens, contracts and leasing, condemnation, and related business matters. He has substantial litigation and mediation experience. Patrick enjoys being involved with the community. He left college for two years to serve as a missionary for his church, learning the Portuguese language, and served as a law clerk for the Washington State Attorney General's Office while attending law school. He is actively involved in the Boy Scouts (Earned Eagle Scout in 1990), Kiwanis, Kent Chamber of Commerce, Master Builders Association, South King County Bar Association and the Washington State Association of Water and Sewer Districts. Patrick is committed to the District and is grateful for the opportunity he had to work for the District during college. He looks forward to continuing to provide his experiences and education to the benefit of the District's customers in providing affordable, dependable and clean water. 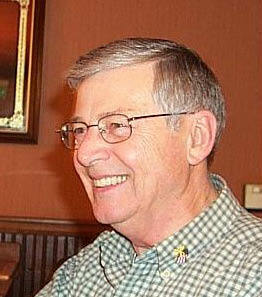 Charley, has served on the Lake Meridian Water District Board of Commissioners since 1976. He and his wife, Fran, have been married for 64 years and have lived in the Lake Meridian area for 50 years. Charley graduated from the University of Washington in 1947 with a BA degree in Economics and came to the Kent School District in 1950. He was a principal of Kent Jr. and Sequoia Jr High. Charley has been successfully retired for 30 years and “plays at golfing” every Wednesday and Saturday, at a minimum. He has at one point in his career, served on the Board of the Washington State Association of Sewer and Water Districts and still remains active in their section meetings, and represents the District on the South King County Regional Water Association board of directors. Commissioner Gary Cline was first elected to the Board of Commissioners of Lake Meridian Water District in November 1973 and has served in that capacity since that first election. 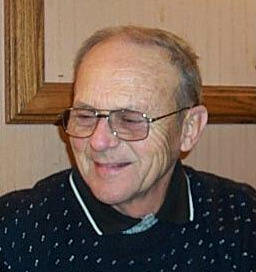 Gary has been a resident of the Kent community since 1964 while raising a family of three children with his wife, Irene. Gary is a graduate of Gonzaga University in Spokane, Washington where he received his BA degree in Psychology with teaching minors in English and History. He taught English at Meridian Jr. High and Kentridge High School. He completed his Masters Degree requirements in Educational Administration and served as Principal at Meridian Junior High and Mattson Junior High until his retirement. During his tenure as a Commissioner in Lake Meridian Water District, Gary has been active in the South King County Regional Water Association and participated in the original agreement of Tacoma’s Pipeline 5 project to bring water to Covington, the City of Kent, Lake Meridian Water District, Federal Way and Tacoma. He has served as the Administrator to the South King County Regional Water Association, chaired the South King County Ground Water Management Committee that developed the South King County Ground Water Management Plan designed to protect and preserve the ground water throughout the local region, served on the Board of Directors of the Washington Association of Water and Sewer Districts and as President of that Association in 1993 and 2007. Gary currently chairs the King County Section IV of the Association. In 2007, Gary successfully ran for commissioner of Soos Creek Water and Sewer District which shares many customers with Lake Meridian Water District. Commissioner Cline is also active in the community as a member of the Kiwanis Club of Meridian and serves as that clubs representative to the Board of Directors of the Kent Food Bank. Commissioner Cline has chaired the Annual Kent Food Bank Board of Directors Fund Raising Breakfast for the past five years in events that have raised in excess of $30,000 dollars for the food bank.